Sporty traditional shirt half sleeve colour red chequered. Normal fit. 100% pure cotton. And in a beautiful check colour red burgundy white. 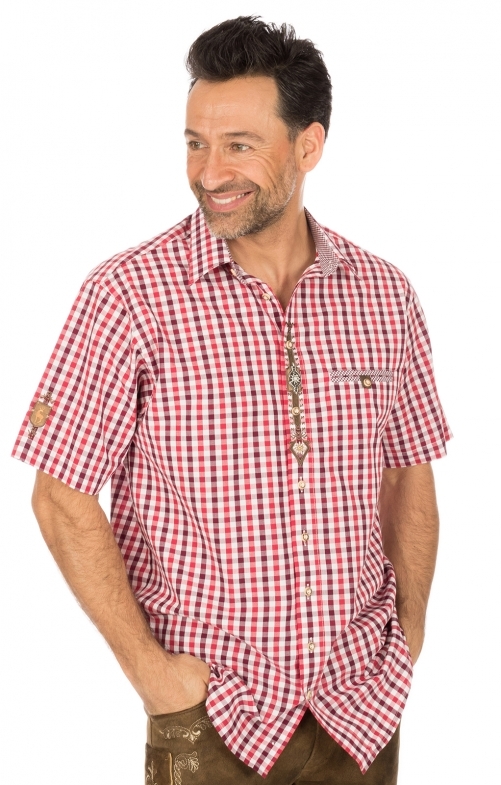 Hearty details that make a traditional shirt so indescribable and unique as the embroidery strip on the front, the chest pockets in a small plaid, the small embroidery motif on the short sleeve and much more. The shirt hem is cut around so that the shirt can easily be worn over the trousers. Tolle Ware, passt, gute Qualität, sehr zufrieden!